A: Yes, most of our styles are available in yellow and white gold, as well as in platinum and palladium. Q: Can I change how wide the wedding ring is? A: Yes, most of our rings are available in a variety of millimeter widths. Q: What if I see an engagement ring which holds a round stone in the center can I get it to hold a princess cut stone? A: Yes, most of our styles can accommodate a variety of different diamond shapes and sizes. Q: Can I purchase a ring directly from Lieberfarb? A: Lieberfarb does not sell direct to the consumer. Our line is sold by fine retail jewelry stores. 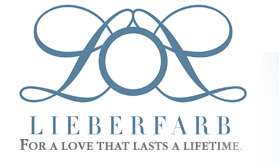 Please complete the "Where Can I Buy Lieberfarb" page to find a retailer nearest you. Q: How do I find out how much a particular ring costs? A: Since we do not sell directly to the public, by visiting your local fine retail jewelry store, they will be able to contact Lieberfarb for that information. 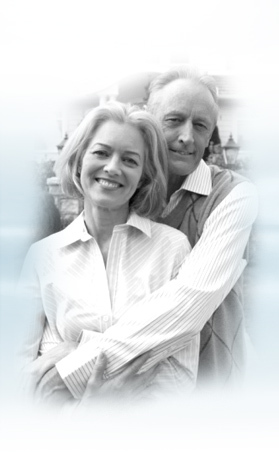 Q: I like to support American made products, where does Lieberfarb manufacture its rings? A: Lieberfarb is proud to say we support the American worker and manufacture in our factory in New Jersey.